That’s the very reason why we need to take care of our hearts and that can be easily done with the help of ATC Fish Oil. ATC Healthcare International Corp. sought out the best known ingredients to aid in caring for the heart and packed it into a natural supplement called ATC Fish Oil. ATC Fish Oil has Omega-3 fatty acids like EPA and DHA which are essential nutrients for a healthier heart. These awesome twosome for the heart helps lower blood pressure, triglycerides and LDL cholesterol levels. EPA, or eicosapentaenoic acid, and DHA, or docosahexaenoic acid, are nutrients extracted from cold water fishes and these are also beneficial for the brain and eyes for they assist in slowing-down age related vision diseases. With ATC Fish Oil, you can protect yourself against life-threatening diseases such as heart attack, stroke and other heart problems. Apart from its useful benefits for the heart, Fish Oil, found in ATC Fish Oil, is also known to aid in fighting back the risk of having Cancer. Its Omega-3 component has properties that are helpful in preventing one dreading symptom of Arthristis which is Inflammation of specific body parts. With ATC Fish Oil, you can protect yourself against life-threatening diseases such as heart attack, stroke and other heart problems. ATC Fish Oil every day for all-out protection for your heart. 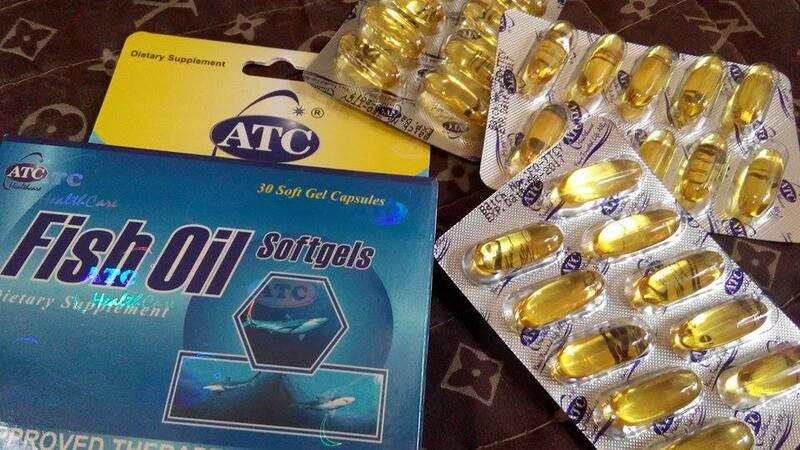 ATC Fish Oil is available at Mercury Drug and other leading drugstores nationwide.